I can't seem to get backglass images to appear in PinballX. 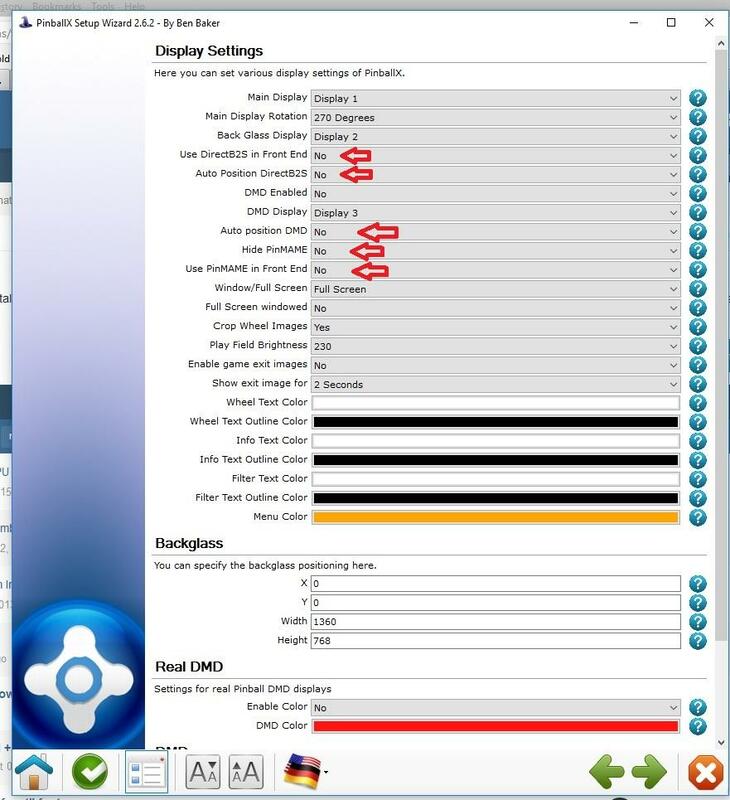 Playfield and wheel images work fine. I have DirectB2S turned off in settings. All I get is a normal blank screen on display 2. But when I alt-tab I can see that PinballX Back Glass is a running program. When I start table it runs normally but I do see that Backglass is showing a small fraction of the image on Display 1. Any help setting the settings of this routine, would be much appreciated. Others have reported some issues with backglass display. Please download and install the latest version. Report back with your results and updated pinballx.ini and log.txt files attached if the issue persists after upgrade. Thanks! I just installed the latest version. The backglass is still not showing up but now when I alt-tab I can see the full backglass image but it's not appearing on display 2. I changed the settings as Outhere suggested and still getting the same results. but now I do see the backglass image for a split second when exiting out of PX (its apparently located right behind the playfield). I see you have enabled both video cards on your system. Are both used ? Is it a way to test it by disabling your internal glu and put your backglas monitor on your nvidia, just to rule out the issue? Yes. On Display 1 and Display2 I get the backglass behind the PF effect when exiting PX. On Displays 3-5 I don't. I am using both video cards. The backglass is running through the onboard videochip and works fine in VP. Do you mean switching monitors? Does the nvidia not have 2 outputs ? I plugged both monitors into the nvidia card and sure enough it works (granted, it flipped the monitors, but that's not an issue. Sadly the nvidia drops frames when running both screens. I'd hate to give up the backglass being punted off to the onboard card if I can avoid it. I just installed 3.37. Sadly no change. You can try 3.28 or ask @Tom Speirs for help. Could you please elaborate on dropped frames? Its normally hard to tell on the backglass. It does not animate much. I didn’t notice dropped frames on the back glass but did notice them on the Playfield. When I moved to the two chipset solution, I got a much smoother game experience, especially on vpx tables. Was it working for you with an earlier version? Also, in windows do you have the option set to extend desktop to the display? Please try the attached replacement exe and let me know how it works out. 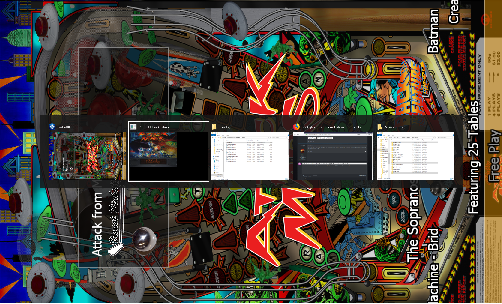 I do have the extend display option on, so it behaves like one extended desktop across both screens. I tried the Pinballx64.zip exe file and I got the same result. The backglass image is being processed but behind the menu system and not on the second display. In the setup wizard where you set the backglass position try setting the x position to 1920 or similar. I tried this early on and did so again this morning. No luck. The backglass image does seem to be processing the image in 1024x768 but then filling the rest of the screen with black, so even if I try to move it only say 150 or 300 pixels on the x axes it registers no change. It wasn't setting positioning for the backglass. I guess that's a bug that has been there a while. Its fixed in the attached and should allow you to set positioning. That did the trick! Brilliant stuff. Thanks a bunch!